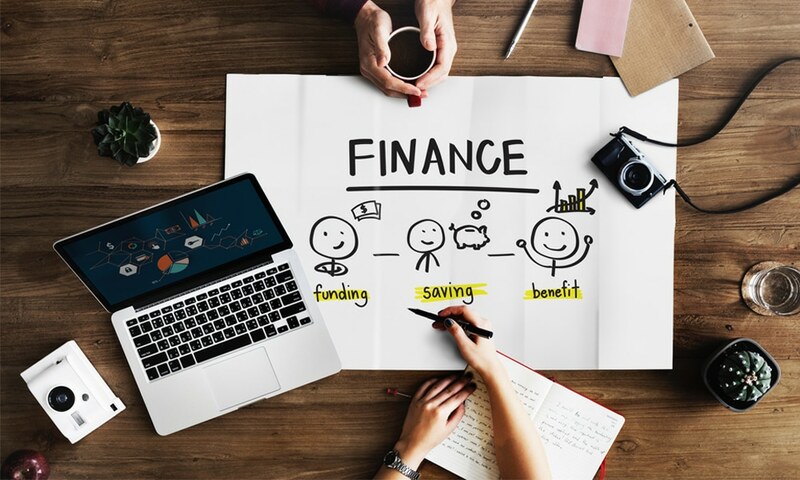 Financial statements are crucial if you are running your own business, investing in one, or simply looking to better understand how your business runs. In addition, there are regulatory requirements for different types of entities that require accurate financial statements to be prepared. A financial statement provides a snapshot of the performance of a business for a given period at a specific point in time. Like paper maps, they are based on historical data. There are four distinct types of financial statement. Each serves a different purpose and contains different information. The four types of statement are the statement of financial position, the income statement, the cash flow statement and the statement of changes in equity. These statements are typically prepared on an annual basis, though larger or fast-growing businesses may prepare half-yearly or even quarterly summaries. Let’s look at each in a little more detail. Previously, this financial statement was more commonly known as the “balance sheet”. The statement of financial position shows the financial strength (or otherwise) of a business, partnership, or sole trader at a particular date. It does this by giving the person viewing the statement an idea of the amounts that the entity holds of three main items. These items are assets, liabilities, and equity. Assets are simple to understand. They are simply something the business owns or can control. Current assets are those assets which are “liquid” or can easily be converted to cash, such as money in a bank account or term deposits. Other examples of assets include invoices for work that has been completed but not paid for, yet which is known as Debtors or another name is Accounts Receivable. Other assets can include machinery the business owns, unsold inventory, vehicles, furniture, and computers. Liabilities are basically the opposite of assets. These are amounts owing to other parties. Common liabilities are loans from a bank and amounts payable for services or goods that have been received but not paid for yet which either referred to as Accounts Payable or Creditors. Equity is simply the difference between the assets and the liabilities. It is a theoretical amount (if the business is still operating) of how much the business “owes” its owners if all the liabilities were subtracted from all the assets. If a business makes a profit, the profit that is retained in the business would increase the cash assets of the business and therefore the owner’s equity. The income statement was formerly known as the profit and loss statement, or P&L for short. This financial statement shows whether the operations of the company, partnership, or sole trader were profitable over a given period, typically a year. The income statement has two key sections: the income section and the expenses section. Of all the statements, the income statement is the simplest to understand. It shows whether the entity is operating profitably (income exceeds expenses) or at a loss (expenses exceed income). The income section represents all the ways the business earns money over a given period. The most straightforward contribution to the income section is the sale of goods or provision of services to customers and third parties. Some businesses also earn income from investing their spare cash or via dividend income from stakes in other profitable businesses. The expense section of the income statement shows all the ways an entity spends money over a given period. This is typically a longer part of the financial statement. The most common outgoings are the costs of salaries, superannuation, rent, spending on plant and equipment and other costs associated with the selling of goods or provision of services. Entities that own substantial equipment or intellectual property might also report deprecation or research and development as an expense. As the name implies, the cash flow statement tracks the movement of cash in and out of an entity. This statement is best read alongside the income statement to provide the best picture of the operating activities of a business. The cash flow statement is broken up into three parts. • Operating activities – this section shows the changes in cash that arise from the main business activity of the entity. For example, a clothing retailer would record its sales from goods sold as well as expenses associated with buying its stock in this section. • Investing activities – this section shows the cash flow in and out of the entity that is the result of sales and purchases of assets that are not trading stock. So, the clothing retailer in the example above might invest in building a standalone store and researching eco-friendly clothing fibers. The cash outflows associated with those activities would be represented here. • Financing activities – this section shows cash spent or earned from changes in share capital, as well as paying interest and dividends. If the clothing retailer from the example above had obtained a $1 million loan from its bank to finance the activities above at a rate of 5%, then it would pay $50,000 in interest over the year. The interest payments of $50,000 would be recorded in the financing activities section of the financial statement, as would the incoming loan amount of $1 million. This statement is also called the statement of retained earnings. It shows the changes in the owners’ equity. This is the least easily understood of the financial statements. This statement is affected by the net profit or loss (from the income statement), share capital changes (if the business raises cash through the issue of new shares), dividend payments, non-cash gains or losses (from revaluations) and corrections. The accounting and taxation professionals at Hart Partners know the requirements of regulators and the accounting standards and know how to prepare your company financials to the highest standard possible.